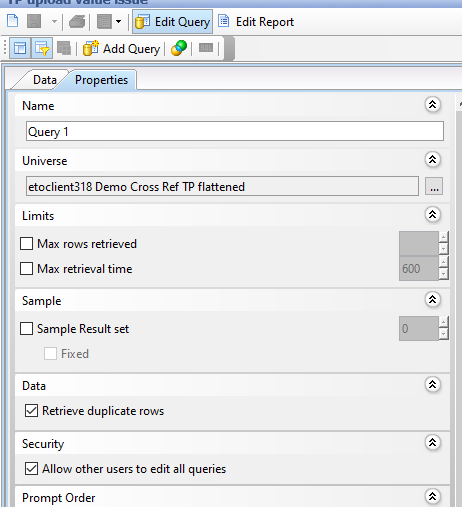 This is a step by step process on how to change a universe within a query of a report in ETO Results. Open the report you need to change. Choose the Query in which you would like to change the universe. Go to the properties tab on the upper left hand side of the screen. Under Universe, you will see the name of the current Universe. Click the three dots to the right of the universe name. Select the name of the new universe under Available Universes and click OK.
For more information on changing the universe a query is mapped to, click here.